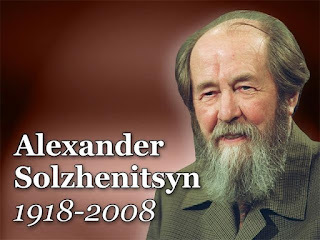 What we want to read (or watch on a youtube) is the bottom line from Solzhenitsyn as it pertains to the jews and "mother" Russia. We americans, always in a hurry and too impatient to sit down and read anything over two pages of text, just want to know if Alexander concurs, or maybe even enhances, the story we have all heard about the inhumane treatment, and incredible stories of torture and outright murder, that the jews dished out to the innocent and disorganized native Russians. Did all that really happen, according to Solzhenitsyn? Since he is considered a veritable and valid source (his word is as good as gold), to read that he wrote these things, and anything else about those commie jews, would be the nail in the coffin for any GI Joe's who might need more convincing about WW2 and "them jews". Some pro-white american (or brit, or kanuck, or aussie) who speaks FLUENT Russian needs to read "200 Years Together" (in its original Russian bind) and make a 20-30 minute youtube telling us the bottom line.